The grade sevens are working on their first multimedia project- the dreaded keynote presentation (I know this because my daughter has been working on it in the kitchen while I make dinner). 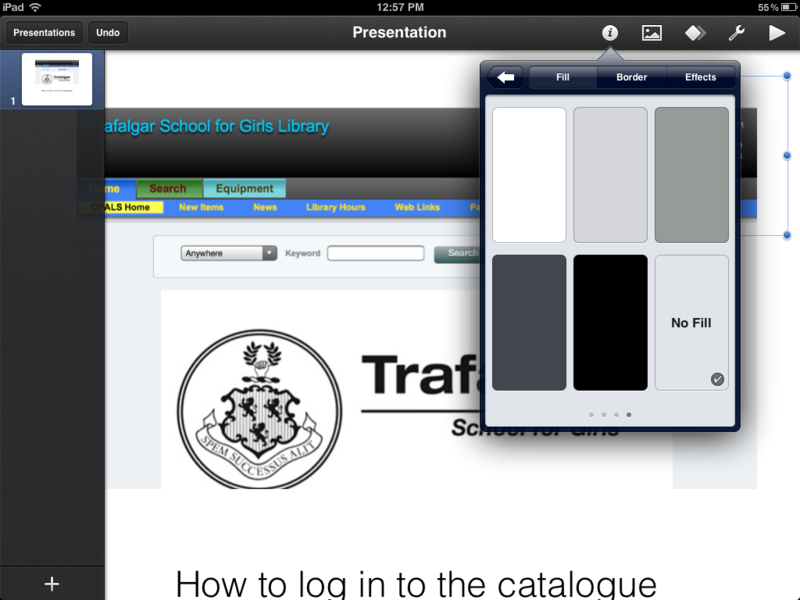 One of the challenges of making the keynote directly on the iPad is the challenge of adding an audio track to their presentation. Why is it a challenge? Because for some reason only known to Apple, there is no direct way of doing this. I tried this method with my daughter and, after some failed attempts, succeeded in embedding two musical clips in her presentation. However, we were not able to extract a clip from the song- she had to go with the beginning. Okay! Now that I have a nice, new platform to exhibit all the cool things the teachers are doing, I can focus on, well, all the cool things the teachers are doing. Let us continue with last Friday’s presentations, shall we? Except that I pretty much covered a lot of her presentation in a previous post entitled Teacher Spotlight: Ms. Annie Brown and her wonderful whimsies . 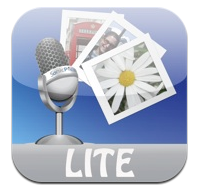 But just in case you need a refresher, Annie likes to use apps such as Sonic pics lite and Fotobabble to evaluate talk competency in her English class. For new student orientation, Ms. Brown took the original activity- of picking an image from a bag and writing a short poem about it and put it together to create a slick product the Grade Sixes could then email to themselves. There was the original physical component of the exercise, where the girls could take the images out from a bag and then write their poems. But because Ms. Annie Brown also had the images in her iphotos- she could find them easily on her ipad. The girls then recorded their poems over the image and were able to send the results either to themselves or their parents. For open house she did a similar exercise where she asked the girls to think about their favourite part of themselves and write a short blurb about why. Once they were done, they opened sonic pics lite, used the camera to take a photo of their favourite part and then recorded over it. Fotobabble: used for the halloween screams! With the line that sometimes taking in all the new technical information feels like drinking from the firehose. Too true, Mr. Scruton. Too true. Mr. Scruton (math teacher) was nice enough to send me screenshots from his presentation as well as a little blurb that describes it better than my notes. 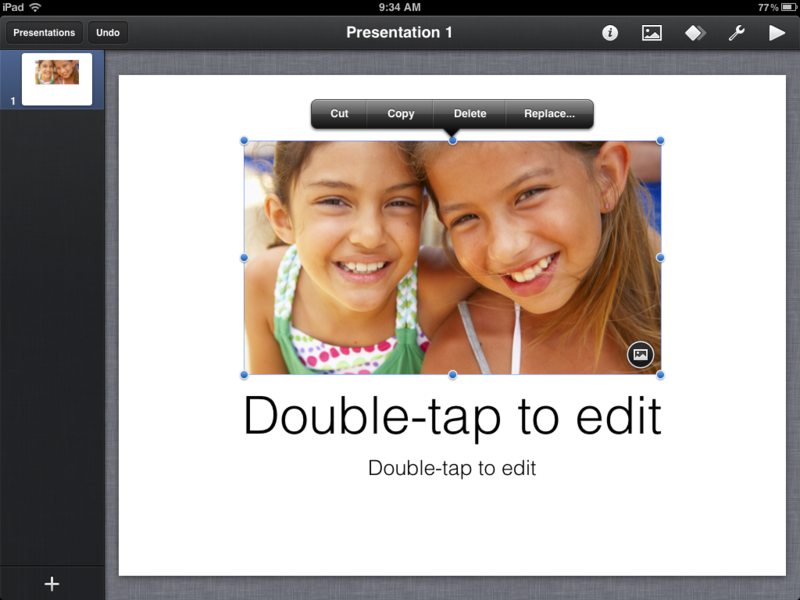 The things that I touched on in my presentation was using Keynote in class. 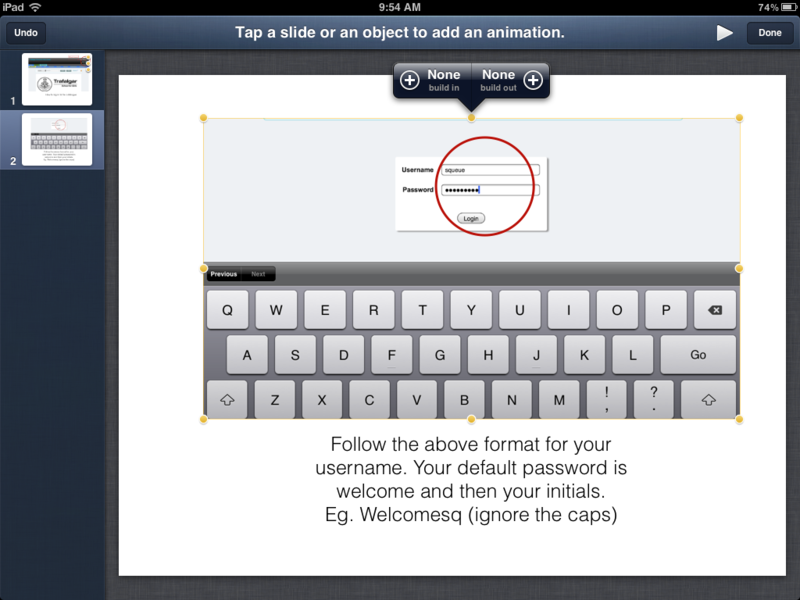 Making PowerPoints or Keynotes on computer, then transferring to the iPad via Dropbox or the iCloud. 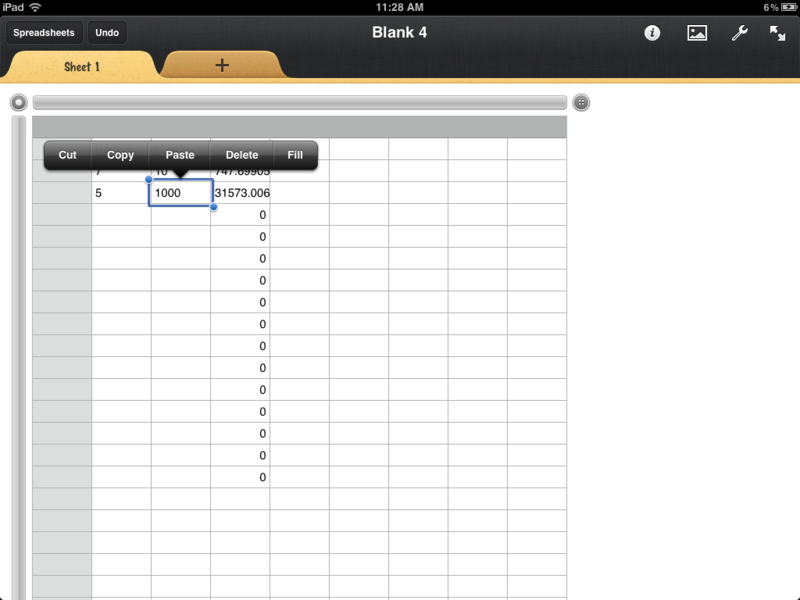 Here is a screen-shot of a Numbers spreadsheet from my presentation. I would love to explain more about how Greg uses Numbers in his classroom, but it involved solving equations. I don’t do equations. 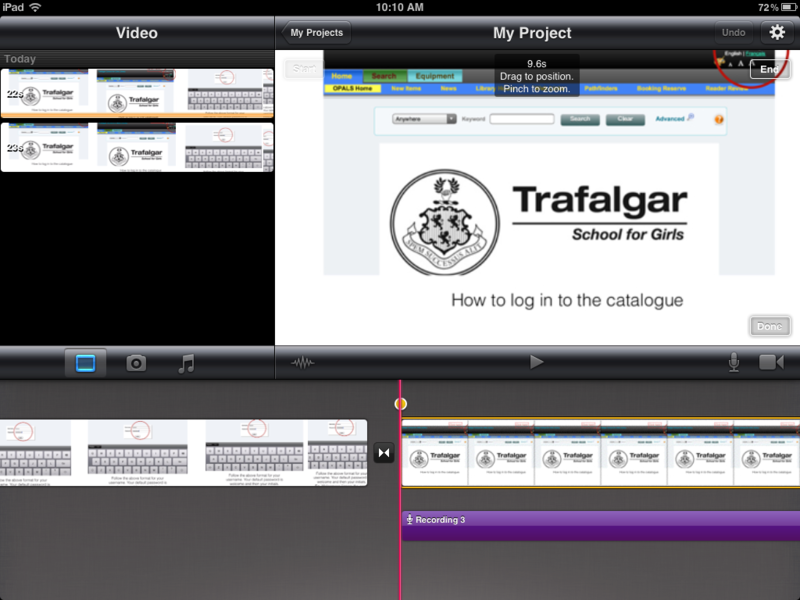 I also make the PowerPoints into videos that the students can access from their iPads. I am sending this video because it took the better part of my life-time to make, and I think that only one student has watched it (under duress). Although, these days I am busy with the ipad developing an old school/new school scavenger hunt for the Grade 8 English class ( I will publish it when it is done), I haven’t done any ipad explorations with this blog in mind. Imagine my happiness when the Mme. Science Humaines teacher came in today to borrow the ipad lab, saying she was going to use it in her class. Today she used it for research. The girls emailed themselves a document they made in keynote with their notes and next week they will film their group discussions with the ipads. That way, Mme Science Humaines, who cannot be in two places at once (I know. Slacker.) will have a better idea of the caliber of the talky talk. A few minutes later, Ms. Drama Teacher came up to borrow a stack of books on costumes for her class tomorrow. She told me she has booked the ipad for the same purpose- the girls are going to give presentations and film themselves with the ipads! 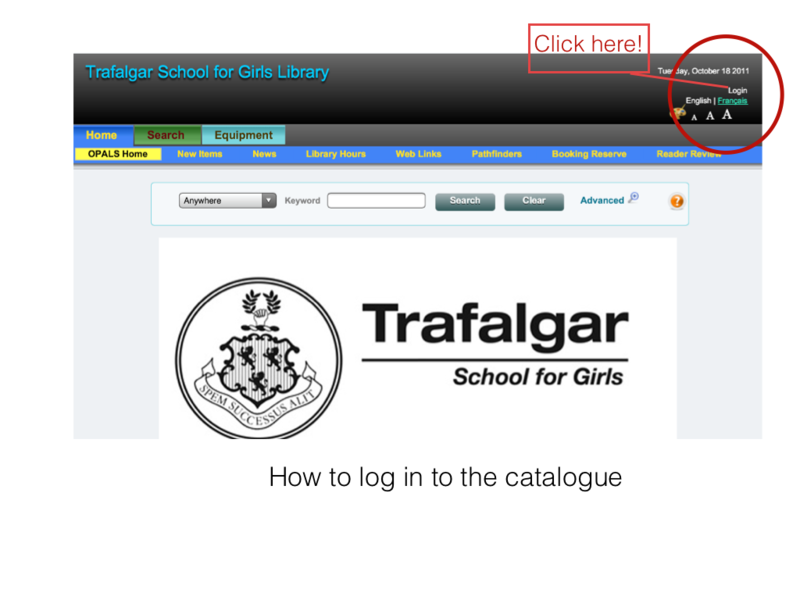 What a great, easy way to get the girls to see where they need to improve in their dramaticalness. 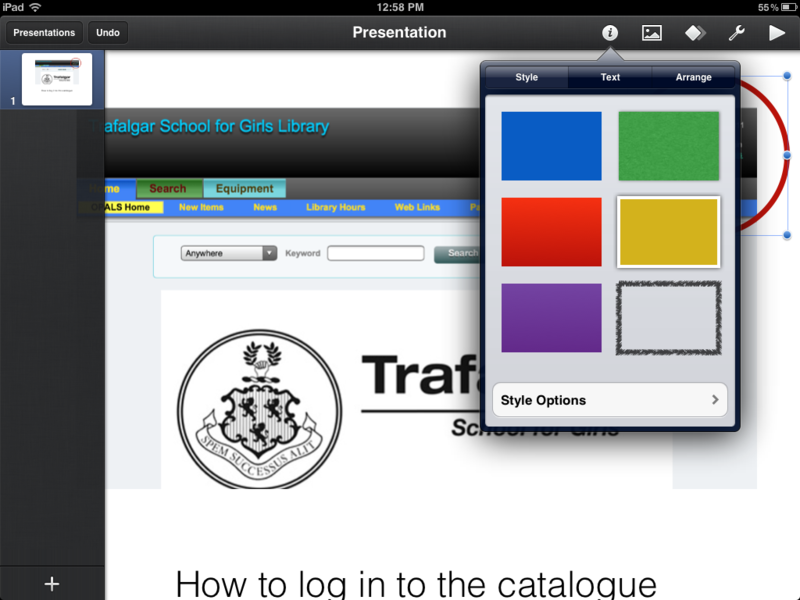 I love hearing how the ipad is being used around the school- if you have done something interesting, noteworthy, etc. 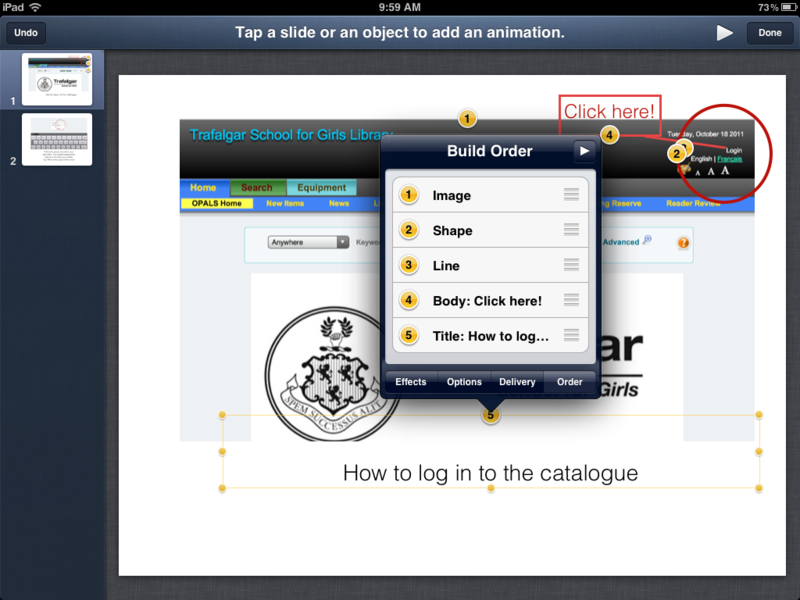 either with your ipad or with the ipad lab, let me know and I will feature it on the blog! So I finally bit the bullet and purchased key note for my ipad as I was conversing with Mr. Multimedia yesterday and he was mentioning how many of his students want to do their projects on the ipad. In order to stay ahead of these young whippersnappers (or at least on par), I thought I would try to get a couple of slides together. 4. Play around with the text box. 6. Add sound (this is the big one as I have heard rumours, since corroborated that keynote on the ipad doesn’t allow you to embed sound directly). 7. If I can’t add sound, find a way to get both. 1. Relatively easy (as I had just updated to ios5 the other day, Keynote automatically took me to their tutorial, which I would highly recommend you try- it shows you how to do things and then gets you to try it. I learned many things, such as how to select two things at once and move them at the same time). 2. Adding images was also very simple. Just go to the little image at the top and add media. I went to my Camera roll and retrieved the screenshots that I needed. OH! 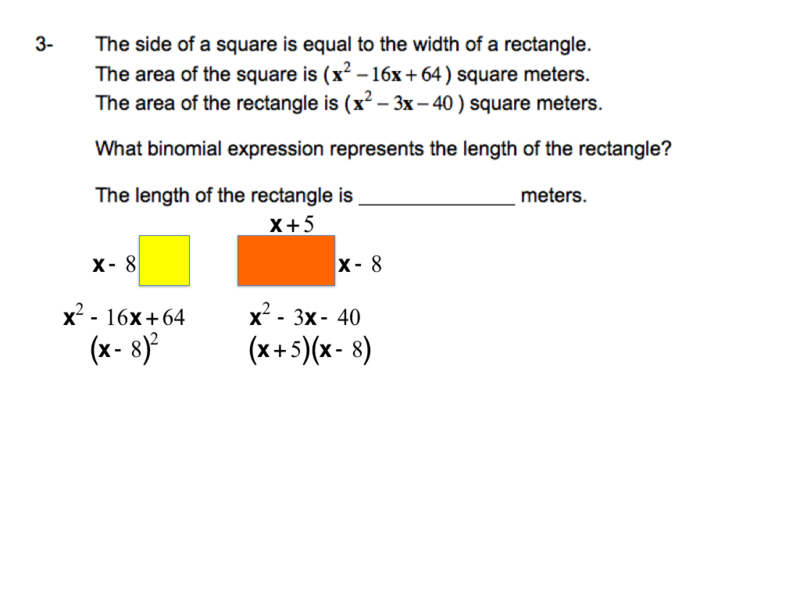 I also used the replace option on the image given in the slide template- very handy indeed! 3. I wanted to highlight a section of my picture, so I went back to the icon with the picture box and chose shapes this time. I chose the circle. Then to the i for the style options–> Fill I was able to select NO Fill. 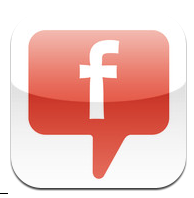 I then turned the borders on, coloured it red (I like red) and tapped the image icon to get out of the screen. I did the same for my little line that linked my text box to the circled section. 4. The text box gave me a little difficulty (at one point the keyboard would not show up) but I finally managed to make the text smaller and move it around the screen. The difficulty I had was that I inadvertently made the slide zoom out when I was trying to move my picture and I couldn’t see half of my slide. Being the swift learner that I am though (no sniggering please) I figured it out and zoomed back in. 6. Add sound. Ahh. This seems to be Keynote’s Achille’s heel. There is no way to create a soundtrack to your presentation through the ipad keynote. Why, is beyond me- all the tools necessary to do so are available. It is one of those anomalies of reason- a black hole in the order of things. I also had to retake my voice recording about 5 times, but that was because I realised too late that I speak with a lot of umms and ahhhs. Okay. Maybe not a work of genius, but it gets the point across. Thus our reconnaissance mission concludes successfully!